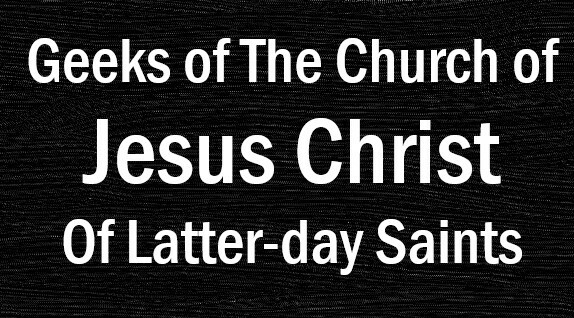 Disclaimer: I know that living a homosexual lifestyle goes against the teachings of the Church of Jesus Christ of Latter-Day Saints. However, the church also teaches "Love Thy Neighbor" and in recent years has told members to love and care for our brothers and sisters no matter what their sexual orientation. To me that means that if I have a voice then they should be free to have a voice too, weather that's in politics, choice of partner, or in popular media. Homosexuality has been a marginalized voice in media for centuries, and my offense comes from continuing to portray a group of people inaccurately or like their very being is offensive. Happy new year. 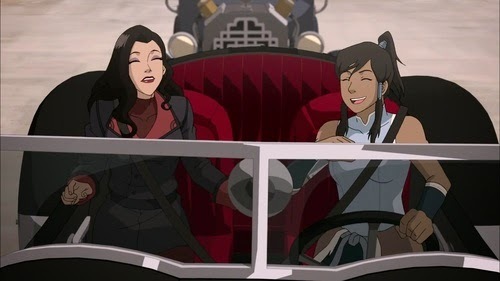 I'm late to the party on this so most LOK fans have already heard of the big controversy so for the uninitiated allow me to explain: At the series finale of Legend of Korra, our hero Korra and her friend Asami decided to go on a vacation together, getting away from all the crazy that's happened in the last five or so years. The last scene shows the two women about to start their new adventure, look at each other, and hold hands. Not so bad, right? Well it gets better. The writers of the show immediately came out and said that the characters were gay, and that the last scene of them holding hands represented their mutual attraction to each other and that they were about to start their lives together. That's when I got mad. Okay, before you think I'm some sort of homophobe, my problem here is NOT the idea that they're gay. If the writers wanted to write gay characters then by all means. Legend of Korra is certainly not for children anyway, so the whole "They're corrupting our kids!" nonsense can be tossed. My problem is that up until the very last scene, and even then, the characters showed no signs of being gay or being attracted to each other. They don't need to be stereotypes, but these two were established as heterosexual. They even dated the same guy at one point. Even the holding hands scene isn't that monumental of a jump. The Golden Girls held hands to show solidarity. Thelma and Louise held hands at the end of their movie to show sisterhood. It's a common practice for women to hold hands in our society. That last scene was vague at best. This is as bad as when JK Rowling told the press that Dumbledore was gay three months after the final book. Did anyone actually get that vibe? Yes, Dumbledore was unmarried and you never heard of him having an attraction to anyone, but does that mean gay? My overall problem is that writers telling us about the sexuality of their characters after the final take to me isn't bold or fresh, it's cowardly. If you want to show support, show support! Otherwise, don't say anything. Amen - this is exactly what I said when J.K. Rowling "came out" about Dumbledore, and when the LOK creators did the same for Korra and Asami. It's nothing but cowardice. It's creating the story, then seeing an opportunity for publicity, nothing more. The problem for me is deciding how I feel about it. For both examples, I've kind of decided to just ignore the ridiculousness about their sexuality and see them as they're presented. I hope that's not offensive to anyone (although not offending anyone is kind of impossible nowadays), but when I read/watch the stories, I don't see any of those three characters as gay. The creators can tell me all day long that they are, but they're not presented that way at all, so it's not a part of their identity in my mind. Surely someone will say, "But that's the point! Gay people are NORMAL people!" That's usually true, but if it's true with these characters, what's the point of hiding it all the way along, if not to increase sale-ability to those folks who can't accept that? If the message you truly want to send is that gay people are normal, show us people WE KNOW ARE GAY acting normally. The only point where I disagree with you in your feelings is that they didn't show anything leading up to the "Korrasami" relationships. I feel that they did show evidence of this relationship coming into being (the only person Korra wrote while she was away was Asami, etc.) but they were far too subtle with it all. We should also recognize that in order to include any of that AT ALL they would have been bucking against Nickelodeon and its demographic concerns. It's true that the show wasn't for children, but it's on a network for children, so they would have some say in what they broadcast. Perhaps they couldn't get the green light for this until after the other episodes were in the can and the show was available for download only. I feel like their hands were tied creatively and that should be considered as a factor. But I ultimately agree. The relationship was poorly portrayed. Are Trailers coming out too early?